It is amazing how fast that track dried with no sun on it !!! As bad as the weather was the ECTA did a great job getting so many vehicles down course over the 2 days. Here is the finish of Brian's 213 run. The smoke isn't from our Baker 555 - we're getting a rear wing on the car to keep the back tires on the pavement There are more videos on youtube at Geezer Express. wow....did i say wow! what an awsome exsperience! being i rookie / rookie , and having been out of racing for close to 7 years, my return was great. the ECTA staff is the best i have ever had the pleasure of meeting in all of motorsports, the volunteers are top notch, the balance of the organization, between the rules, the do's and dont's and the support from the staff is a great blend. there was never a question not answered, never a reason not given. my hats off to everyone. then there is the racers and the crews. from the minute we got there we were welcomed as if we new them forever. within moments we were old friends. i have never seen the spirit of giving so plentiful. if all of the world could take a lesson from a bunch of mixed nuts that just want to go fast, the world would be a better place! well going to get a home cooked meal and relax while i make my plans to return in september. and if anyones in the NJ area there is a AHDRA drag race the end of the month, come check out some 200mph nitro harleys, and my slow buell. LSR racing has been a dream of mine since i was 12 years old, and 200mph is my goal I am finaly on my way. who would have guessed it would take so long to go so fast for such a short time? This is the run from my little Orange bike. It is a Ninja 250 with a bored out engine and a fairing for a Harley Davidson 250 RR. It is running in the MPS/G/350-4. I got 109.5 109.3 and a 109 . something. . Not to bad for the first run with that set up. It was a little lean. I can get some more out of it. trying to go 200 KPH with a 250cc four stroke. Probably one of the moments I wont forget soon! Fighting that 25 mph crosswind Saturday morning. Man did I need that pass on Sunday to cheer me up as I thought I might still be having the pulling right issue from last October despite all the fixes. I, too, WAS a rookie at this event. As Charles and Runt already said the staff and volunteers did an excellent job. The facility is outstanding. The racers were friendly and welcoming. And the weekend was a blast! 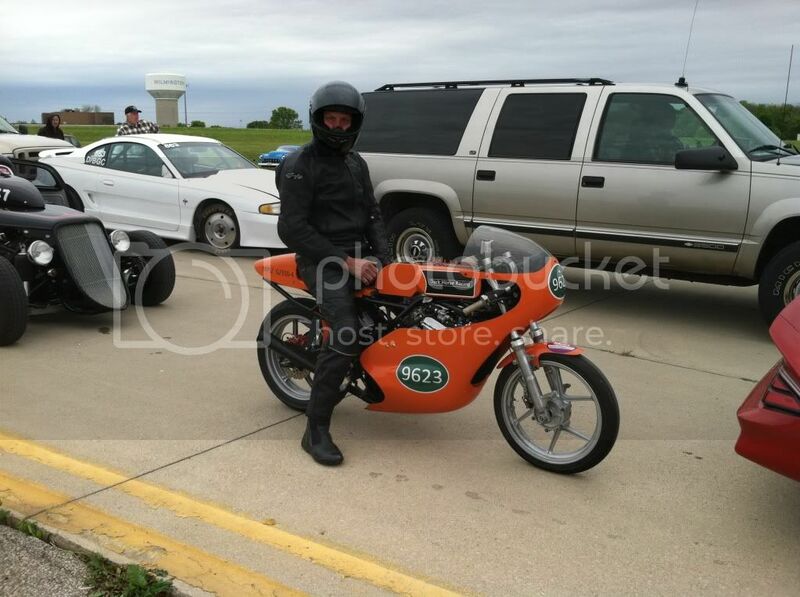 I made three passes in Elwood with the second being my best time 133.71MPH. I was on target for 140 on my last pass and the dash went all Christmas tree on me and the motor went into limp mode at the half mile mark. Turns out I blew the fuse on the injector circuit for 1/3/5/7 cylinders. Replaced the fuse and all was good for the 400 mile trip home. The weather, unfortunately, ruined my fun. I don't like being cold and I hate being cold and wet. My car is also extremely temperamental when rained upon (probably why the fuse blew). I think I may try to come back in July with a racing seat and harness to try to tech at 150. That at least will make it a little more interesting. Don't have any pictures yet but I had to say what a well oiled machine the ECTA was and is. Can't believe with the number of entries and the weather trying to spoil the show how well things went. 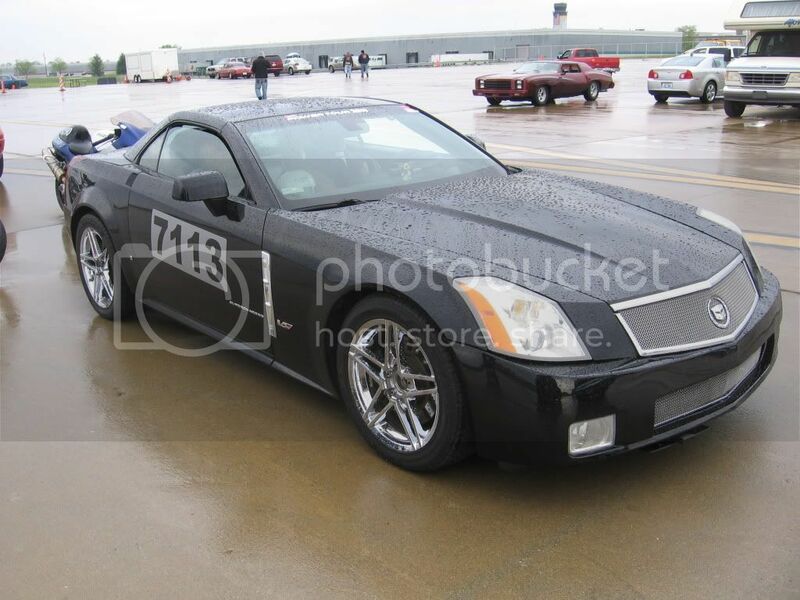 My best speed at Maxton was 127 mph, my best at Ohio after work on my truck which produced an extra 62 hp and a totaly different track was 133.84 which met and exceded my goal of running over 130 mph. Hats off to the volunteers at the entrance gate, directing traffic along the pit and return road, the guys at the starting line and those ladies in the registration trailer. I thought it unbearable standing at the registration trailer for ten minutes, these tough people stood out in the elements the entire weekend. Did anyone else have to really drive their car on Saturday am, my truck skated around on the first run like it was on ice? It was great seeing friends I made last year at Maxton and seeing the ones I made since here on the forum. 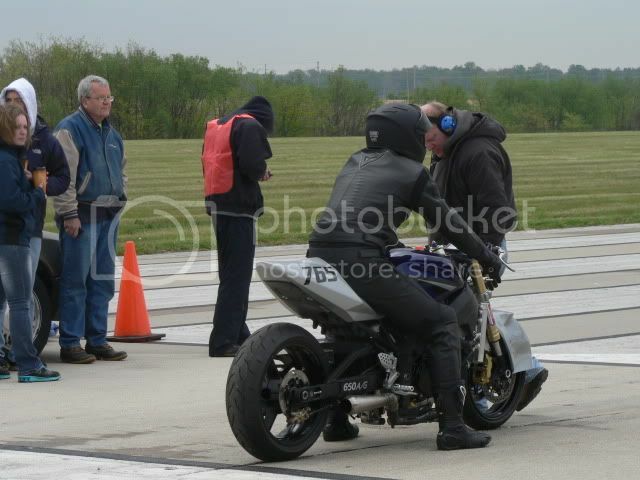 Buell engine installed in drag frame worked as expected. Here is our video from inside the Geezer2 on the 213 run. Brian did a great job in an evil handling , tire spinning race car. 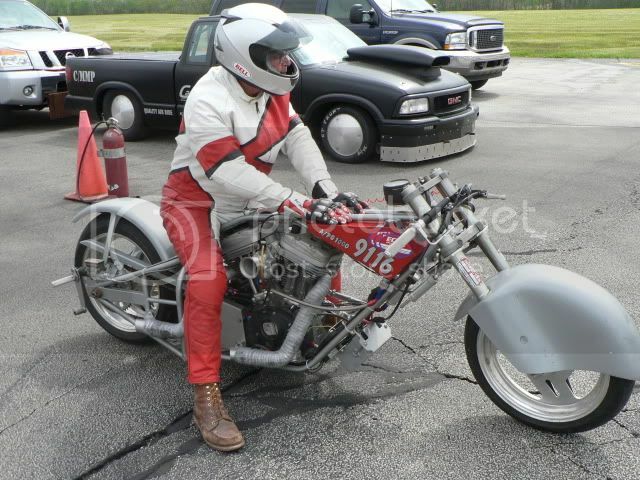 Watch the throttle linkage - I'm glad that he's the driver. Good lord that thing has the bouncies. You need some front shock adjustment. 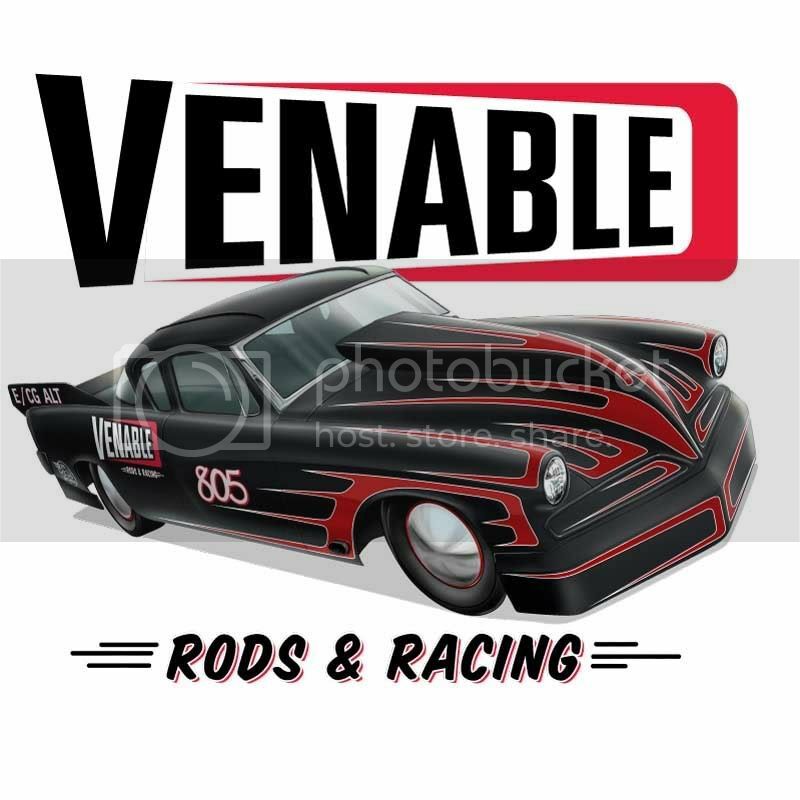 Im sure that thing drove bad with the front end bouncing like girls on trampoleens!!!! !